"Specimen Carp Lake" is seen by many as the 'crowning jewel'. 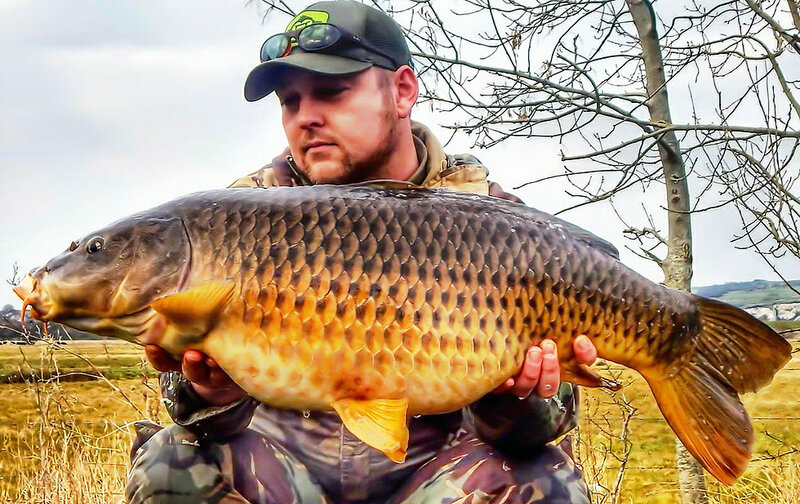 This well established 3.5 acre pool has a depth range from 1.5 - 8ft and offering some of the best day-ticket Carp fishing to be found in East Sussex. There are 18 purpose built swims around the water and each of them are big enough to accommodate a bivvy shelter and all the necessary kit for a long-stay session. Stocked with Common, Ghost, Mirror and Grass Carp to nearly 40lb. There are also some good quality Pike in our specimen lake with a known best of 30lb. It can be both challenging and rewarding so your rigs, bait and tactics will need to be 'cute' to the seasons to get the best from your session. Fishing is based on a 24 hour permit from 7am to 7am the following day. 14 pegs are available and can be booked up to a day in advance here at £22 to £27 per day, per person.